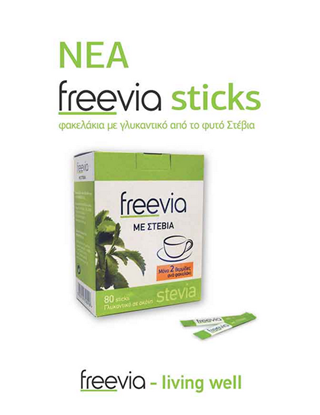 Freevia sweetener powder is a completely natural sweetener with steviol glycosides which dissolves equally well in hot and cold beverages. 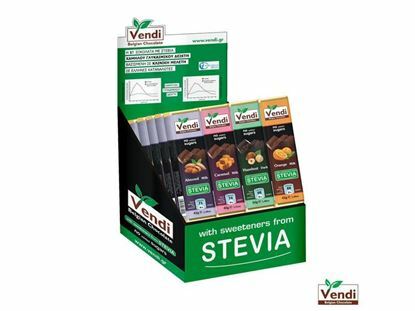 Chocolate without added sugar, with Stevia packed in 32 pieces in 4 delicious flavors: chocolate milk with almond pieces, chocolate milk with orange pieces, chocolate health with hazelnut pieces, chocolate milk with caramel pieces. Suitable for people suffering from Diabetes.